It’s December! Michael has his Star Wars Lego Advent Calendar, and the countdown to the big day has begun. We haven’t yet put up any decorations, but we did have some Christmas fun this past weekend, in the form of the Roger’s Santa Claus Parade, and The Christmas Market. 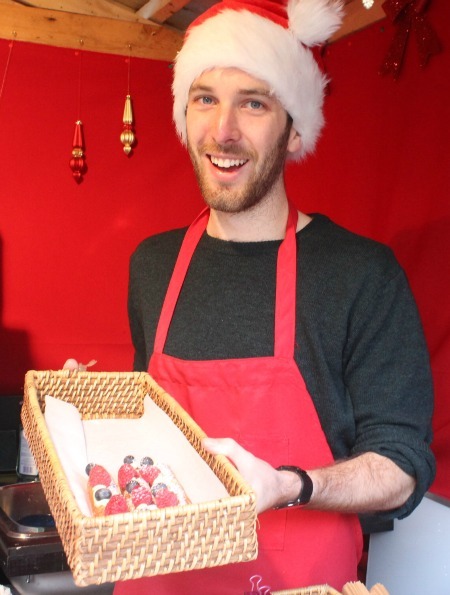 The Christmas Market is a relatively new, but beloved, Vancouver Christmas tradition. It started 3 years ago, and is based on the traditional German Christmas Markets that are all over that country. Ours features an old-fashioned carousel, lots of food vendors, lots of hand-crafted goods for sale, and a live music stage. 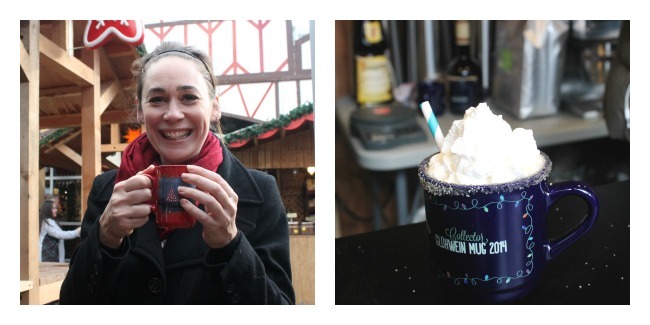 Oh–and did I mention that they also serve mulled wine? 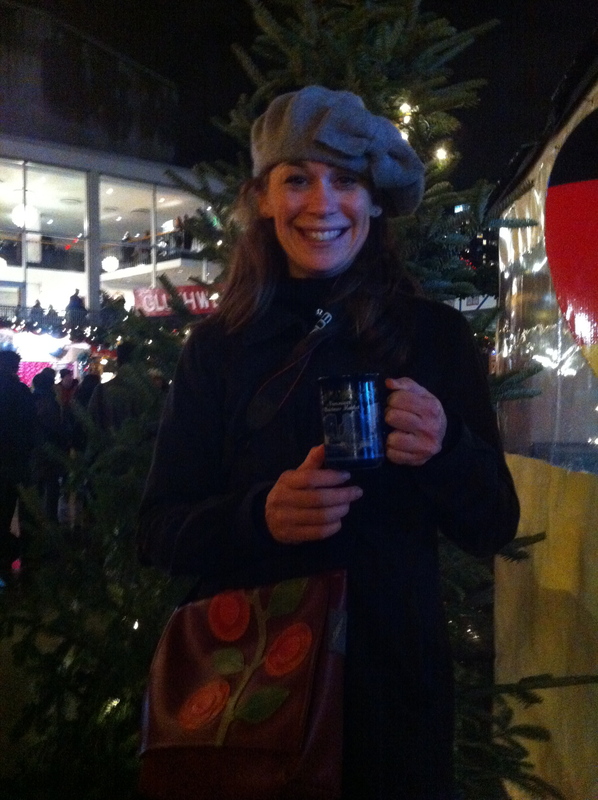 The Glühwein even comes in a china mug that is lovely to wrap your cold hands around. Warms you inside and out. Michael and I got a whole VIP treatment: admission, carousel rides, and treats to eat. When we arrived, there wasa great Celtic band on stage called Sons of Granville, and then later on, the legendary Dal Richards took to the stage. Here’s a bit of a photo essay on our night. Some of the beautiful, hand-painted ornaments you can buy. The peaches are actually fuzzy on the outside! This is the face of a child fascinated by a chocolate fountain. Apparently there is a German tradition of ringing the bell every time they get a tip. Michael’s choice of treat? Kettle corn. Not very German, but very him. My choice of treat? 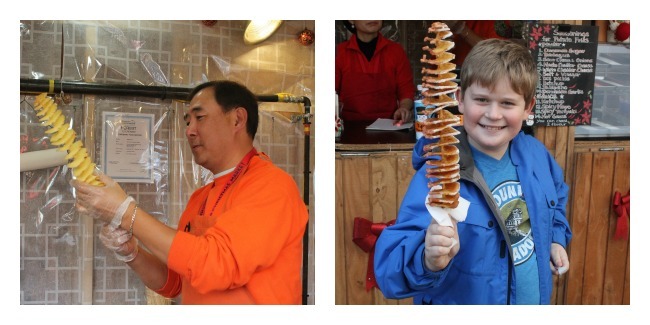 A Belgian waffle–on a stick! And yes, that is chocolate drizzle. Big thanks to Vancouver Christmas Market! 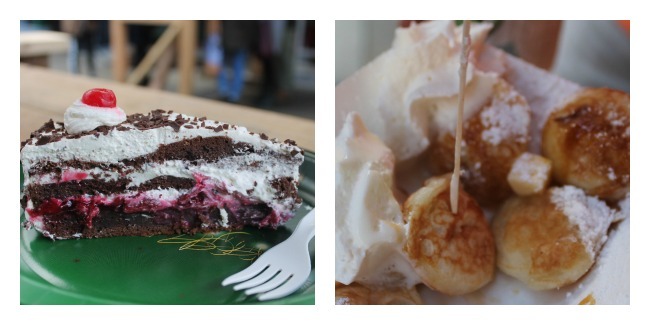 The Vancouver Christmas Market runs every day from 11 am until 9 pm, closing at 6 pm on Christmas Eve. It’s located just in front of the Queen Elizabeth Theatre, and admission is just $5 for adults, and $2 for kids, 6 and under are free. A word to the wise: bring cash. 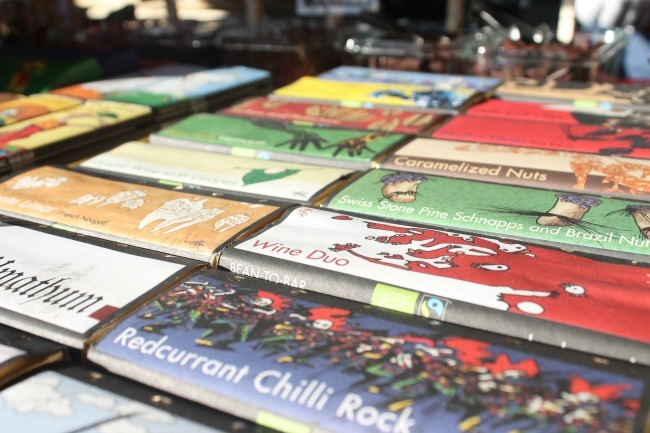 Most of the vendors, especially food vendors, do not accept debit. There is a bank machine on the premises, but it’s one of those private ones that dings you with service fees.